When people talk about the rigorous process – the journey – coffee goes through before it hits your taste buds, they often forget about the journey coffee experts make to find on-the-spot blends. 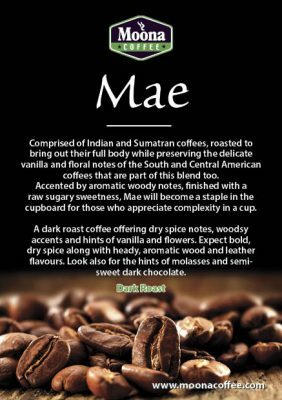 Well, here is a medium coffee blend that tells the story of flavours, spices, notes, and much more. The coffee aficionados at Moona travelled the world in search of the creme de la creme of coffee beans for their designer blends, and they stumbled upon Fiore. In case you are wondering what fiore means; it’s Italian for “flower.” For Moona, fiore blend represents the culmination of many refined flavours from across the globe, coming together to create something dazzling – a coffee much akin to a flower. It’s no secret many coffee lovers want to know where the best beans come from. Well, it goes without saying that each origin offers something unique – be it the fantastic flavours, rich body or bright acidity. That’s why Moona blenders select some of the best single origin coffees – El Salvador, Natural Ethiopian, Washed Ethiopian, and Costa Rican beans – to create an artisan medium roast blend that’s not only intricate but also lush. If you have a taste for excellent coffee, then you’ll love fiore to the last sip. 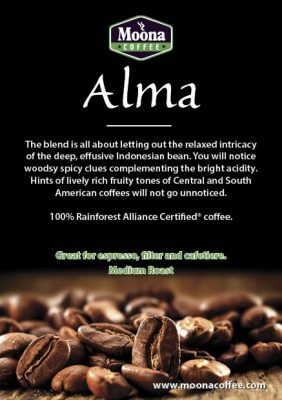 With the stone fruit, Bergamot, just a hint of spice, caramel with a toasty flavour, and a plethora of other scintillating cues, this blend is certainly a gateway to new coffee experiences. And that isn’t all; as a medium roast blend, fiore can be enjoyed any time of the day. Whether you want that morning pick-me-up, a night cup or kick for those lazy afternoons, fiore blend is ideal for your cup of joe. When it comes to rich flavour as well as high quality, fiore is spot on. Coffee experts at Moona make sure that only the finest beans go into the blend. This way, they ensure that only the most refined and premium coffee is delivered to you. Of course, Moona has a longstanding track record of churning out unrivalled roasted coffee blends in and around the UK. Again, Fiore coffee blend brings together a riot of single origin flavours from diverse origins. It’s for this reason that this premium medium roast coffee blend is perfect for anyone. Whether you are newbie or a coffee aficionado, fiore is the coffee for you. 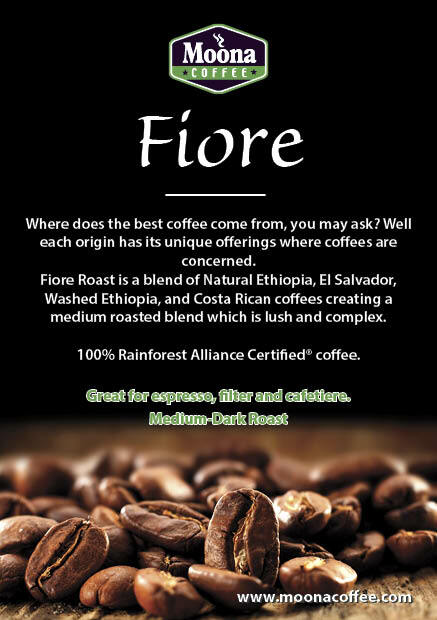 Fiore Blend is a 100% Rainforest Alliance Certified® coffee.